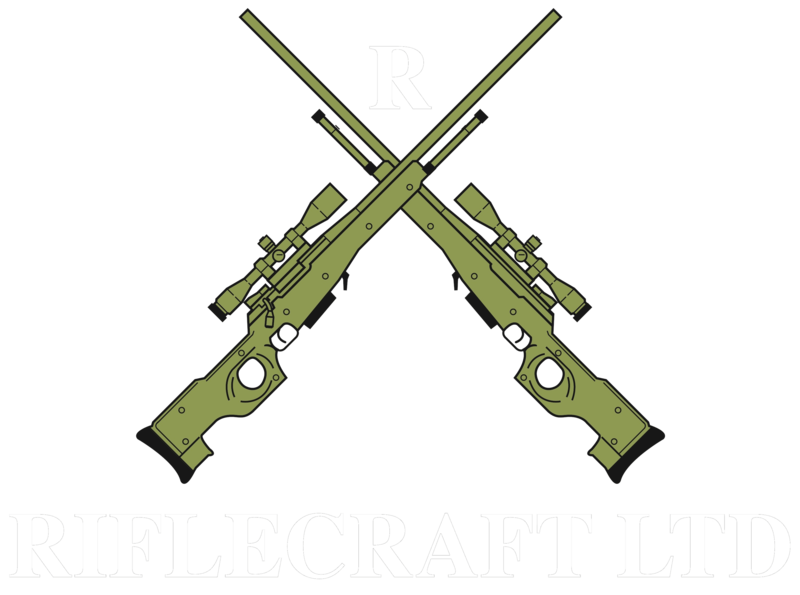 Riflecraft was born 20 years ago out of a passion for rifle building. Over the years we have built rifles for specialist military applications as well as for hunting, varmint and target shooting. We pride ourselves in making accurate rifles. As the famous Townie Whelen once said, “Only accurate rifles are interesting”, a sentiment we wholeheartedly agree with. We embrace technology and new ideas. Whether your project is a full custom build, a semi-custom or you just want your own rifle made more accurate through rebarreling, stocking or blueprinting we would be happy to discuss it with you. Customer service is of utmost importance to us. We are as interested in ensuring that you are satisfied with the service we give you or the products you buy from us as you are. We stand by our products. We don’t quibble about problems, we solve them. Our customers are our best ambassadors. Our training programmes are used by the MOD and Police and recognised as best-in-class. A certificate for successful completion of our 'General Rifle' course is fully recognised by the Police and BASC, the only course of its type in the UK to be valued in such a manner. It can also be used as a part qualification for the BASC Sporting Rifle Award. If we can help, just give us a call or better yet, come and visit us. We would be very happy to discuss your requirements.